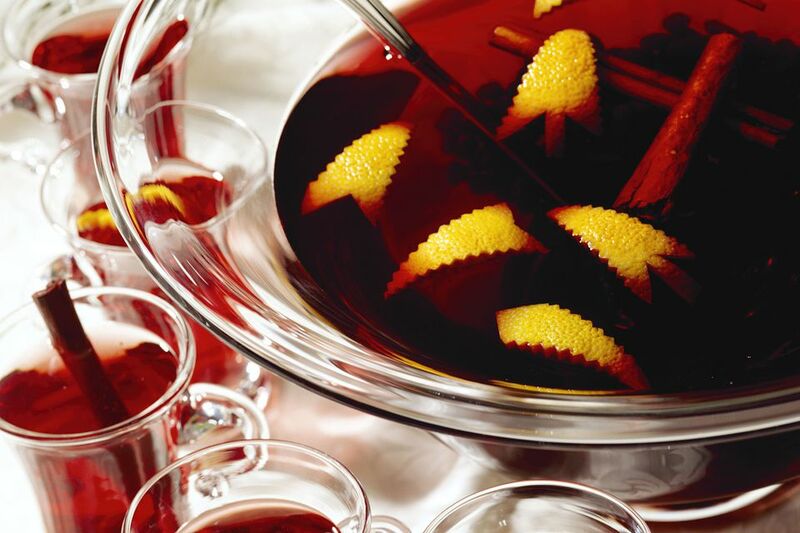 The Bloody Rum Punch is a take on the traditional sangria and its dark red color gives it a deep red hue that's perfect as an eerie punch for your Halloween party. It has a reputation as being a very strong punch, so consider yourself warned. Despite the longer list of ingredients, this is actually a very simple punch to construct. The key, however, is to make it ahead of time and allow all of the ingredients to rest together before serving. Have fun decorating your punch bowl with fake spiders, cobwebs (on the outside of the bowl), or with creepy, edible garnishes by floating the likes of this lychee eyeball in the drink. Add all of the ingredients into a large punch bowl and place in the refrigerator for at least two hours before serving. Serve over ice in a punch glass.